PLDT's SME Nation is a group that values nurturing new concepts in the world of business. That's why in partnership with Rappler, the telecommunications giant is bringing back #BeTheBoss this year. It's the pioneering social media crowd sourcing search that looks for the most promising and tech-savvy entrepreneurs in the land. This year's #BeTheBoss will welcome its new batch of digitally driven aspiring entrepreneurs to be the "game-changers" they should be to help our country flourish further. Now on its year 2, #BeTheBoss is set to continue its mission in recognizing excellence in technological innovation and digital integrations. 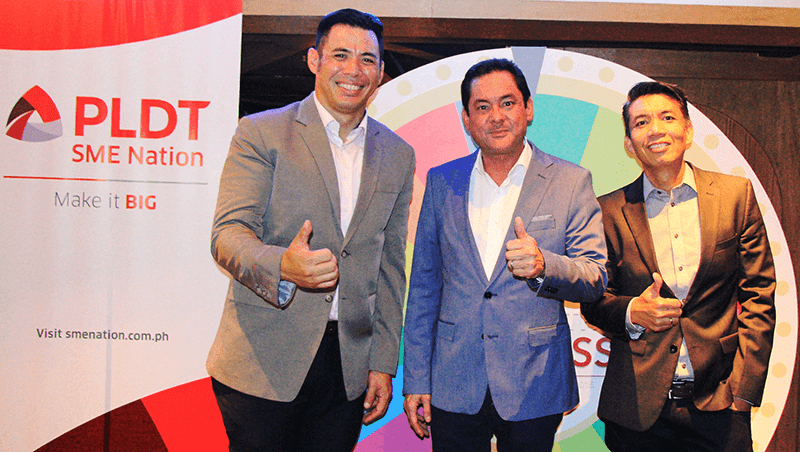 “Our goal is simple and poignant - to demonstrate how digital technology can empower micro, small, and medium enterprises (MSMEs) and help them grow their business by looking to young and savvy entrepreneurs who’ve actually done it,” VP and Head of PLDT SME Nation Mitch Locsin said. There's a current online nomination at rappler.com/betheboss that will accept entries until July 10, 2016. There will be a panel of judges that will choose the best 3 finalist for each categories. After that, a final phase will be for public online voting that will make 40 percent of the total finalist score. The categories are: Boss for E-Commerce (For e-commerce entreps who knows how to own the internet and its opportunities through an innovative application or an online service); Boss for Social Media (For entreps who mastered maximization of social media and growing a community); Boss for Social Responsibility (For entreps who knows how to go beyond profit and give back to the community); and Boss for Innovative Solutions (For leaders who thinks outside of the box and knows how to utilize tech in offering ideas to cater a broader audience). The winners and finalist last year were narrowed down coming from over 500 nominations in the country. They few to Silicon Valley, one of the world's technological melting pots for a unique digital immersion and learning experience. Boss for E-Commerce Kim Lato of online tech store Kimstore, Boss for Social Media and top wedding photographer Jason Magbanua, Boss for Customer Service and queuing solutions company TimeFree Innovations founder Chino Atilano, Boss for Social Responsibility and Messy Bessy founder Kristine Reyes-Lopez, and Boss for Mobile Readiness and mobile app MobKard founder Carlo Calimon also received mobile business kits from SME Nation. This year, the same will happen. Winners will get broaden their horizon and know to globalalize their businesses with the Silicon Valley experience. So, if you know someone that fits well in the above-mentioned categories, nominate them and help them be successful to make their businesses grow. It's a simple way of helping our nation too; remember more healthy businesses means more jobs for everyone.